Seems, everyone has heard at least once about “the city of rains” located in the United States. 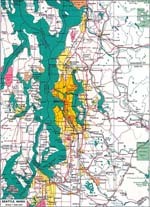 This city is Seattle, which is situated on the north-west of the continent. However, the city is named so not because of the fact that the level of precipitations is the highest here. The reason for this is in the number of cloudy days per year, which is the highest comparing to other cities of the US. Despite this fact Seattle attracts travelers with its numerous advantages. 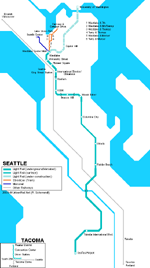 Seattle is a major industrial, commercial, financial and transportation center of the continent. It is also included in the top five major trading ports of the country. In this city are well-developed electronics, woodworking, shipbuilding, food processing, automotive and aerospace industry. Quite unusual sights exist in the city. The Wall of Chewing Gum is one of them. It appeared in 1993 and is located near the popular theater. Once, students queuing up to get theater tickets began to glue coins to the wall with a chewing gum. For many years, the city authorities have tried to deal with such a mess and diligently cleaned the wall. However, colorful pieces of chewing gum appeared again and again. Nowadays, the wall entirely covered with chewing gum is a real city attraction. Tourists come here especially to re-enact the ritual of local students. 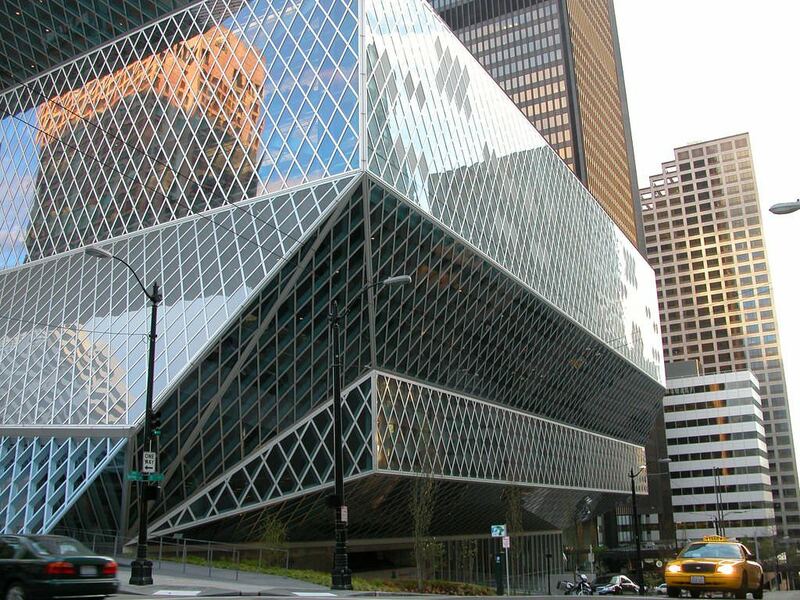 The Public Library building is one of the most spectacular modern attractions in Seattle. It has an unusual asymmetric shape, 11 floors and is completely constructed of glass and steel. The facade of the building is covered with beautiful mirror tiles. It is especially exciting to admire it on a sunny day. The library's stock of books is one of the largest in the country. It stores more than 2.5 million books. Lovers of modern art and picturesque nature will be interested in visiting the garden of Dale Chihuly. Its founder was a famous glassblower. He spent more than 40 years on the formation of this beautiful garden. Today, visitors can enjoy not only extraordinary living plants but chic glass flowers and trees. Some sculptures look so natural, that it is difficult to distinguish living plants from the glass ones at first glance. Amateurs of modern music and cinema should definitely visit the Museum of Pop Culture. It occupies a prominent original building in a futuristic style. The museum presents great modern expositions dedicated to the sensational films of recent years, well-known musical ensembles, and performers. Some of its exhibits are interactive. Visitors will be invited to master various musical instruments and even try themselves as famous movie characters. Fans of classical music will be interested in visiting Benaroya Concert Hall, which regularly hosts performances of the Seattle Symphony Orchestra. 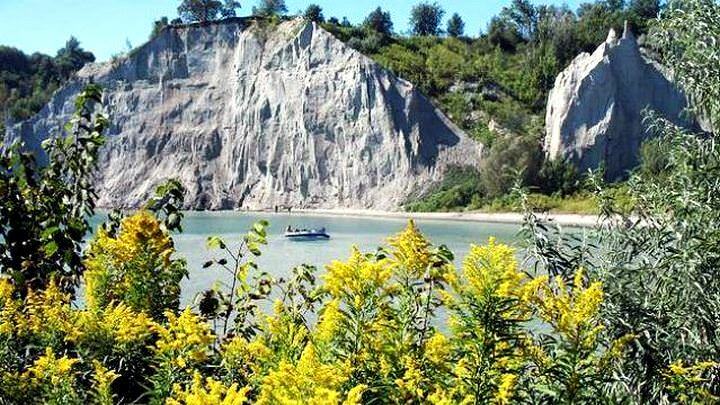 It can accommodate up to 3000 visitors at a time. Due to its unique acoustic properties, the concert hall is considered one of the best in the world. This guide to iconic landmarks and sights of Seattle is protected by the copyright law. You can re-publish this content with mandatory attribution: direct and active hyperlink to www.orangesmile.com. Check on the map: Distance from Seattle center - 4.1 km. All about Seattle, USA - sightseeings, attractions, touristic spots, architecture, history, culture and cuisine. Prepare your trip together with OrangeSmile.com - find out the 'must see' things in Seattle, which places to visit, which excursions to take, where the breathtaking views are waiting for you. Planning your trip with this travel guide will help your to get the most out of Seattle in few days.